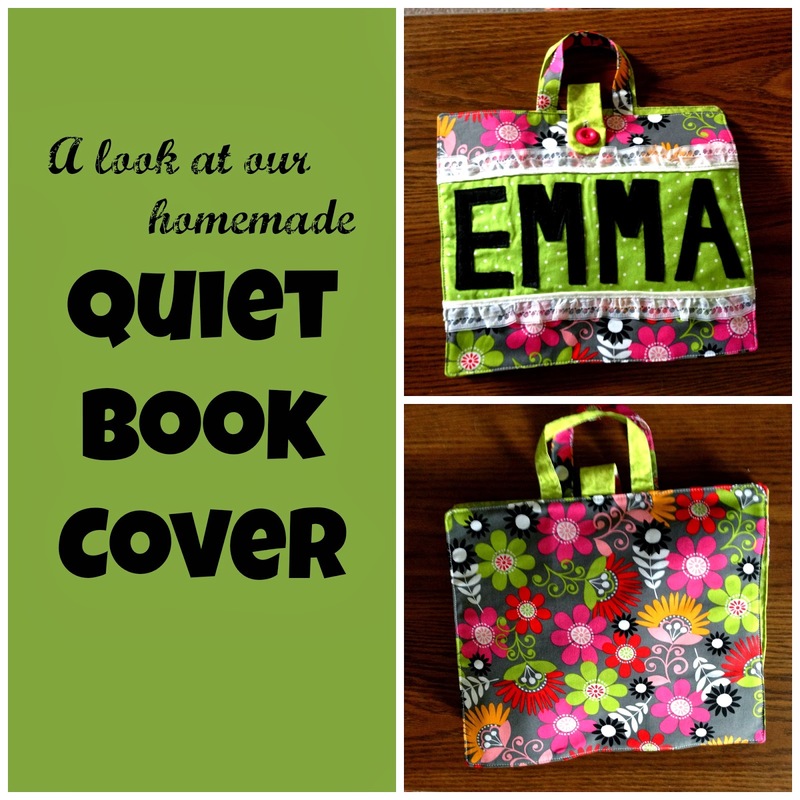 If you haven't already seen my posts on our quiet books then you need to check it out! Because once you make all those wonderful pages you're going to wonder how to bind them together in a way that's easy and practical and is expandable to your children's ages and skill level. I thought about the best way to make a quiet book cover for weeks. Did I want to just go ahead and sew it together? Then it's permanent! Did I want the pages to be removeable? Am I going to have to make two of every page to let the girls each have their own book or...ugh! What was the best solution? Well...this is the best solution I have found for us! I'm excited to show you! 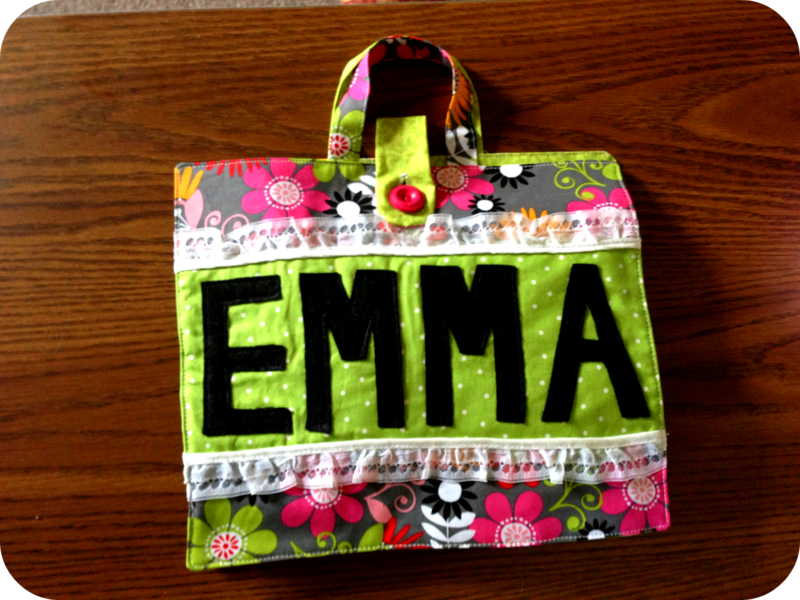 These are Emma's Quiet book page covers. The front and back are separate. 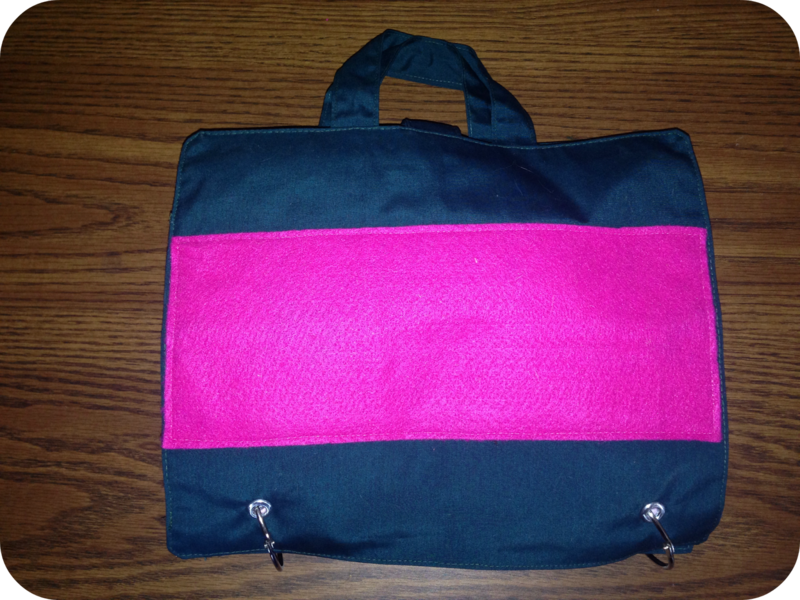 Keep in mind that these pictures were right after I made it and I haven't added the grommets at the bottom yet, but at least you get the idea of it. I chose to NOT sew my pages together. I decided that it makes it so much more versatile having the ability to swap out pages between my girls' books, so I don't have to make doubles of each page. I can also out pages as they get too easy or add more challenging ones in as needed. During the holidays I can add in pages that pertain to Halloween, or Christmas, etc. This way has really worked out well for us. 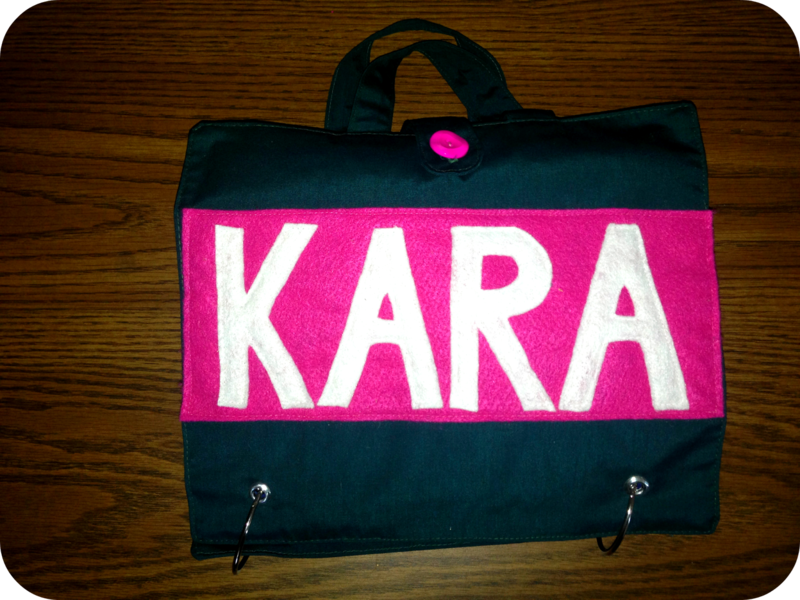 These ones are of Kara's and you can see how it will look when you add the grommets at the bottom. I just use the metal rings from the office store to keep them together. Each page that I make I add grommets to. 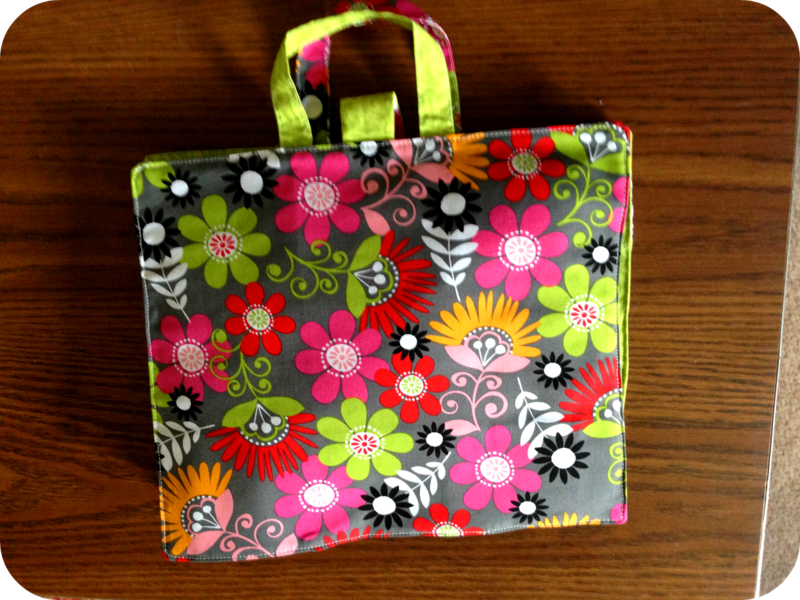 You will also note that our book covers have the handles on them making it easy for the girls to carry their own books around. The book also latches on the front side with a button to keep it from opening up all the time. A couple things I made sure of when I was making the covers was to make sure my grommets lined up with the pages, and to make the cover large enough I wasn't going to have any pages sticking out around the edges. I wanted these to be clean, nice looking covers and I think they turned out perfect. The girls love that their names are on them and it keeps the confusion down of who's who's. I hope these covers inspire you to come up with a creative way to mount all of those wonderful quiet book pages together that you've been working on!